I think everyone's made their point. U2fly, you may continue to post Ukrainian airplane stuff as you were and unless someone wants to talk about that, ignore or observe the posts otherwise. U2 has only really used this thread for this stuff so I think that is fine. Just make sure not to quad-quintuple post, etc. If you make 3 or more posts and no one responds, it's not really much of a thread. 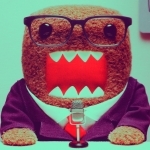 ksh wrote: okay first things first let´s put things clear. im not against u2fly in any way. i just think that this post is erelevant to YSflight. the forum´s purpose was to talk about the game, but this post as other you have mentioned, lucas, are not ment to be posted, or if someone would like to share it keep it short. I, personally, think that post that are irelevant to ysflight should be about plane crashes or anivesaries, or in some cases news about a brand new plane that is coming out. and BTW Lucas, no need to swear. We need to keep together, no keep fighting between us - about what everyone think. 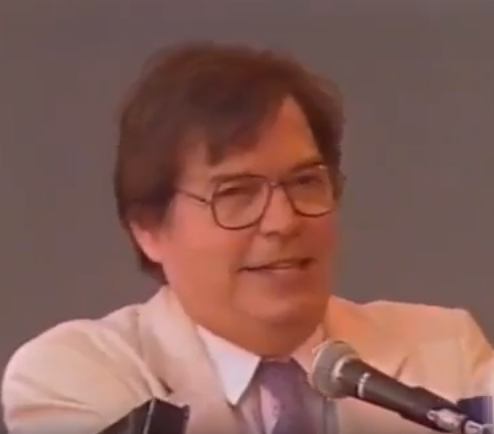 A couple weeks the skies are blues, but now with these polemics regarding these discussion. Glad that all are solved. Okay...you guys have a point! Su-27 #57 of Ukrainian Air Force, that currently came to the end phase of upgrading and recovering, now named in memory of Ivan Babak, fighter pilot & hero of WW2. Aircraft got special marks near cockpit according this. The front of the 57 looks like a new camo pattern: Puzzle Piece Camo. Patrick31337 wrote: The front of the 57 looks like a new camo pattern: Puzzle Piece Camo. According infographic posted above this is "Ukrainian pixel, type 2" camo, that used starting from 2015. This is most interesting story moment that related with ukrainian Su-27 №10 paint. In 1993 this aircraft №10 take interesting story. On winter of its year ground radar stations detect above Kyiv (capital of Ukraine) unknown aircraft on altitude near 2 kilometres, that was marked as 'UFO'. 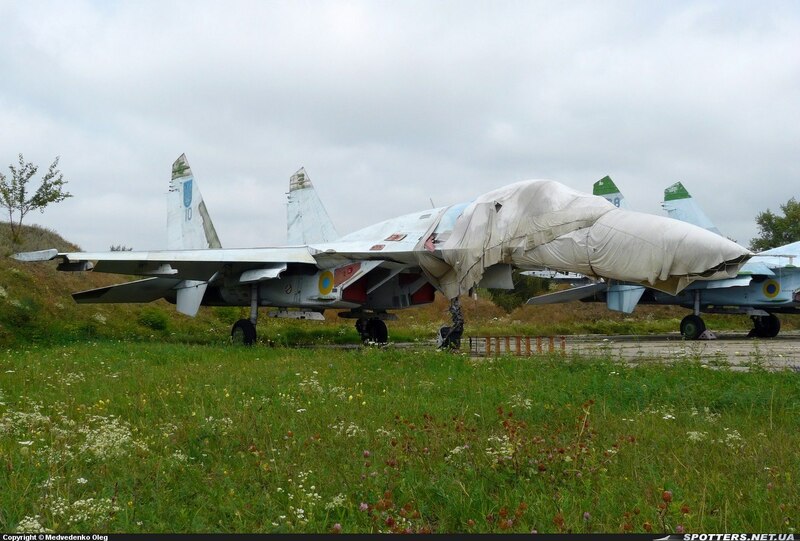 From Myrgorod Airbase was called Su-27 №10, that was on military duty. When Su-27 came in needed pattern, there was a dark time. Onboard radar of aircraft had clear scope, pilot started visual patrolling, but on background from city lights he don't detect any unrecognized object. 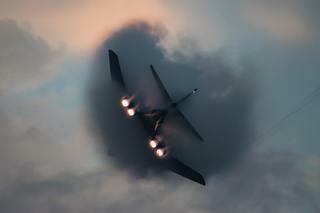 When his aircraft burn all fuel, he was called back to airbase. But this strange dot on the ground radars still was on scopes some time. After comeback from task, this aircraft and its pilot started be a subject of jokes. 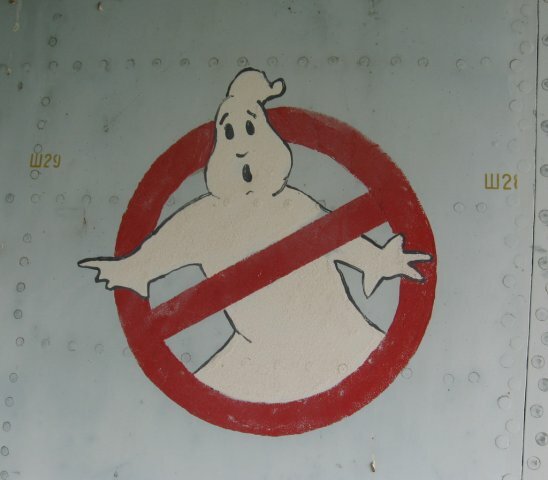 As result technical personal paint on the right side of this aircraft emblem of well known Ghostbusters. 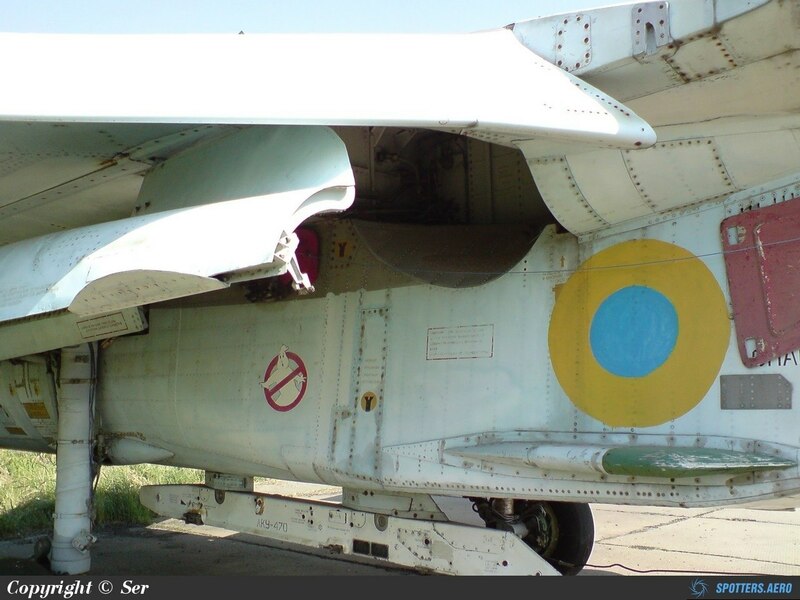 One more interesting fact, that this aircraft still has stars on the wings, that was left after USSR-era. Currently this plane holded in reserv and wait for upgrading. I find this funny, because I have a joke with my sister. She likes to hunt for ghosts. I told her that ghosts are not real but aliens are real, and aliens use ghosts to cover up their presence. This pilot when looking for a UFO and got labeled a Ghostbuster. Su-27 №100 and №101 from 861'st BrTA of Ukrainian Air Force over home airbase (Myrhorod Air Base), also known as "Station 561"
Test flight of medical An-26 #35 after recovering and upgrading few days ago near ICAO:UKKK. This aircraft operated by 456th Brigade of Transport Aviation (Ukrainian Air Force) and now named in memory of Hero of Ukraine Dmytro Mayboroda. FOXBOT Decals wrote: Ukrainian pixel camouflage in my works. 14th of October - Defenders Day Ukraine! 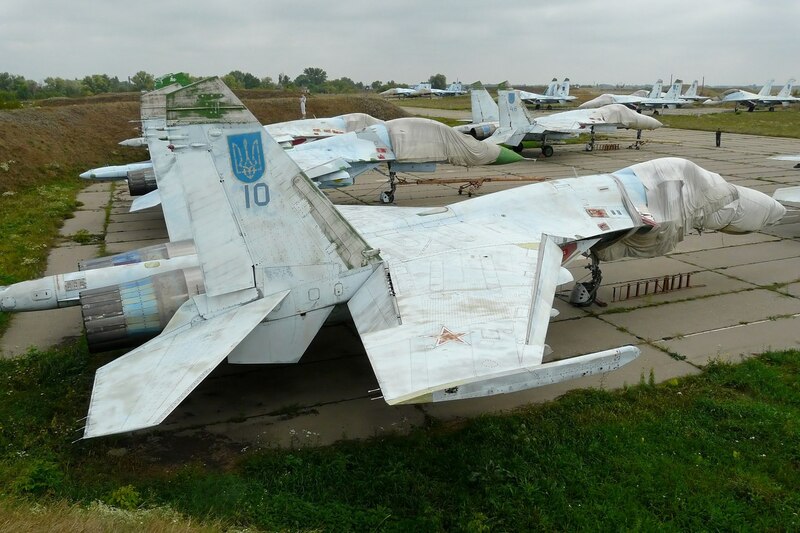 Today Ukrainian Air Force and Armed Forces got surprise! Last edited by u2fly on Sun Nov 06, 2016 5:21 pm, edited 1 time in total. Uhhh... u2fly, that's a Frogfoot, not a Flanker. am i the only one that thinks of minecraft when i see the camo on those planes? but seriously, that must be a hard paint to do for YSflight! Mi-8MSB-V #15 operated by National Guard of Ukraine (this is experimential ukrainian helicopter based on Mil Mi-8). Is that MSB-V going to be a possible Planned upgrade or Is it just a pure experimental helo? You have any futher details on what's being done with it or is it a Ukranian Goverment Secret? Nodoka Hanamura wrote: Is that MSB-V going to be a possible Planned upgrade or Is it just a pure experimental helo? You have any futher details on what's being done with it or is it a Ukranian Goverment Secret?